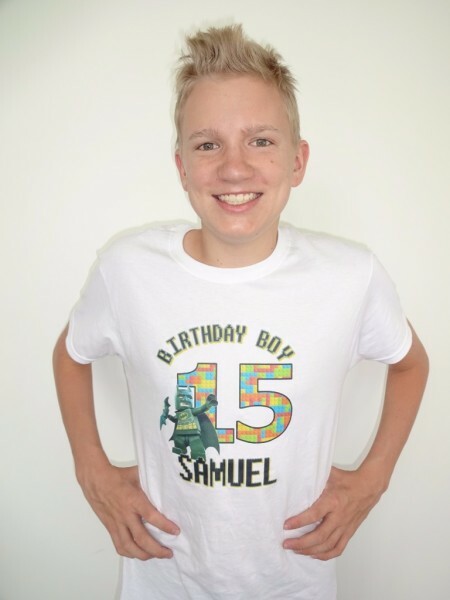 Samuel is 15 and growing into a very tall young man. He has grown about 6 inches in the last year. He will probably end up out growing all his older brothers. He is a Freshman (9th grade) at our Home School, Mountain View Christian Academy. He does not like school, not necessarily because of learning, but because he does not like to be told what to do and when to do it. Like any other teen age boy he would rather be building with Legos, outside riding his bike or rollerblading or playing on the computer, Playstation, or the Wii. All that is more fun than figuring out Algebra or why nouns and verbs make up a sentence. This makes teaching him a challenge. It forces the teacher to get a little mre creative. When he is not at school Samuel, along with all his brothers, LOVE to build things out of Legos. Our basement looks more like a Lego store than a home. Of course he also LOVES playing computer games. He has found a new interest on the computer in programming. Bob bought him an Arduino set. Arduino is an open-source electronics platform based on easy-to-use hardware and software. Arduino boards are able to read inputs - light on a sensor, a finger on a button, and turn it into an output - activating a motor, turning on an LED, publishing something online. You can tell your board what to do by sending a set of instructions to the microcontroller on the board. So Samuel is learning how to use the Arduino programming language (based on Wiring), and the Arduino Software (IDE), based on Processing. This is more productive than playing a video game and in the long run will help nurture his creativity to a potential job source in the future.. He says he wants to work with computer designing in the future so this is a great start. Samuels favorite food is still pizza and rice krispie treats...if you can call that food. In May, the week before his birthday his ortho surprised him by removing his braces. He looks even more handsome and grown up now. Samuel is still learning how to play bass guitar. His teacher thinks he is ready to join the worship team at our church. Something else Samuel has been doing to keep his brain challenged is Rubix cubes. His cousin Kyle, taught him the algorhytms. He spent all summer figuring it out...now he wants to try more complex cubes. Throughout the day Samuel will find the time to find mom, put his arms around her and say, "Is there anything you need me to do for you mom? "He is also a considerate gentleman. No matter where we are, he always makes sure to open the door for his mom, whether it's the car door or the door for a restaurant. Now that Samuel is growing into a young man instead of mom tucking him in, he tucks mom in with a nice hug and kiss, then he spends another hour on the book he is writing or looking at the Lego website, Then he makes sure all the lights are out and tucks himself in.